Welcome to this week’s How to make Halloween Skull Cake Pops! 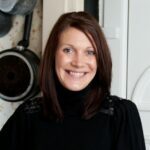 Brought to you by the lovely Ruth From The Pink Whisk.. where you will find baking, recipe and tutorials. I have to say, DON’T go and visit Ruth.. if you visit The Pink Whisk… you will never leave again, or at least not in the dress size you first started out in! You will bake cakes and macaroons and tarts and cake pops all day long… Unsurprisingly, it is one of The Independent’s Top 50 best food sites. So if you are looking for inspiration.. look no further! 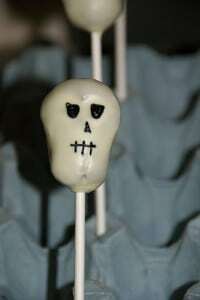 Today, Ruth shares her Skull Cake Pops. 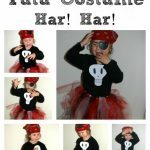 PERFECT for Halloween or a Pirate party! 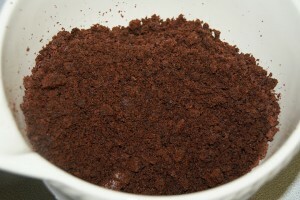 Crumble the cake into a bowl using your fingertips – you’re aiming for small crumbs. 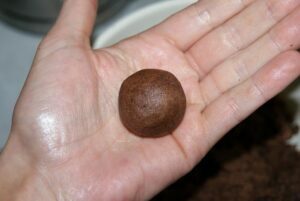 Take a small quantity of the mixture and roll it into a ball between your hands –around 1 1/2” in diameter. 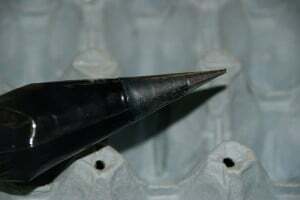 Taper one end of the ball to create the skull shape. Using the rounded end of a wooden spoon indent two eye sockets into each skull. Line them all up on a baking tray. 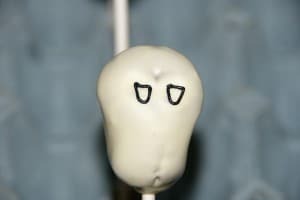 If you get bored of shaping or decide you have enough you can freeze the rest of the cake pop mixture until the next time you want to make some. These quantities make approx. 24 cake pops. 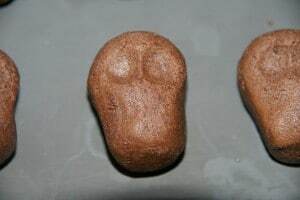 Place them in the fridge for half an hour to firm up. 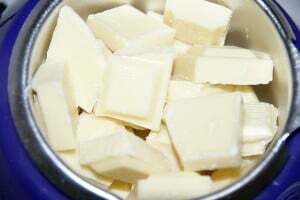 Melt the white chocolate either in a dedicated chocolate melter or in a small deep bowl in short 30 second bursts in the microwave. 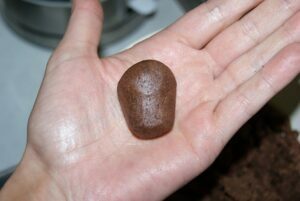 Take a stick and dip the end into the melted chocolate, push this into the base of the cake ball. The stick should go about ¾’s of the way into the skull. Set it back onto the tray and repeat until all the skulls are on the sticks. 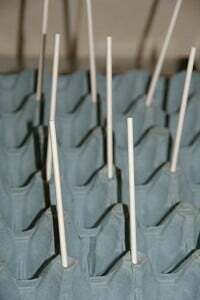 To make a cake pop stand – use an empty egg tray, punch holes through the tall spiky bits to post the cake pop sticks into. 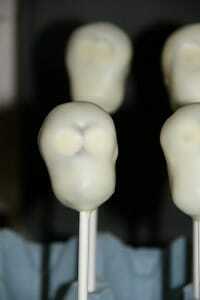 Punching the holes initially with a skewer is much easier than trying to do it with a lolly stick. If you buy your eggs from a farm shop or the like they will usually let you have a tray or two! Alternatively you could use a piece of polystyrene to hold them upright. 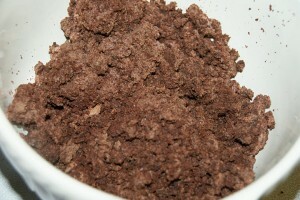 Take each pop in turn and dip it into the melted chocolate. 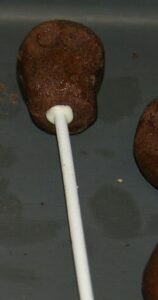 Twirl the cake pop around as you take it out allowing the excess chocolate to drip away. This does take a bit of patience but it is worth taking your time. 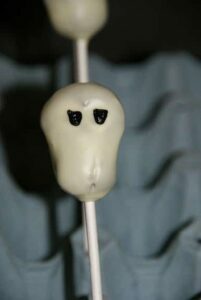 Once the excess has dripped away place the cake pop into your stand to set. 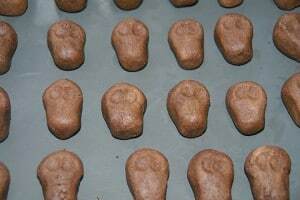 When all the skulls are coated allow the chocolate to set and dry – room temperature is best. 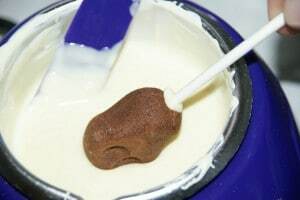 Mix up a batch of royal icing – follow the directions on the box but go sparingly with the water, you need the royal icing thick enough to pipe and stay in shape. 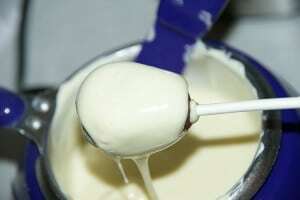 Colour the royal icing using a little black gel paste colouring and use to fill a piping bag. Sugarflair black extra gel paste colour. Pipe in the eyes, nose and finally the mouth. 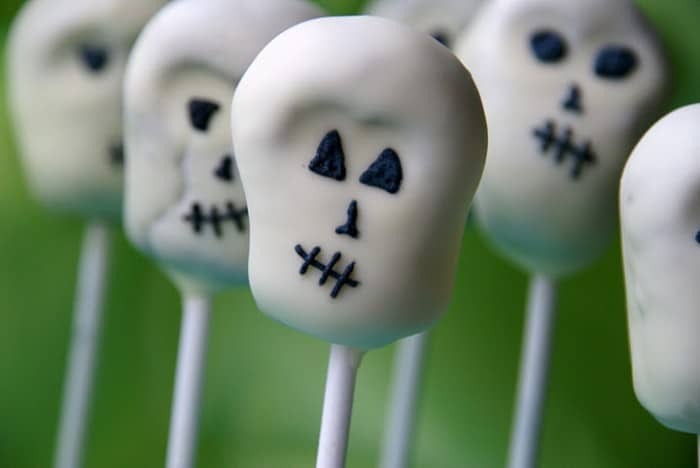 Allow the icing to set and then your skull pops are ready to serve! 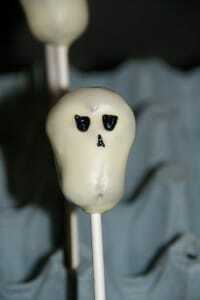 Cake pops will keep for three days at room temp or upto a week in the fridge. Make sure they are in an airtight container before going in the fridge otherwise they will sweat when you take them out. Thank you so much Ruth! 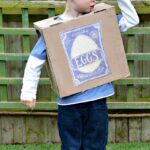 What a fab fab post! 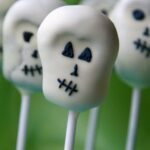 If you fancy more Halloween Cake Pop ideas… check out Ruth’s Pumpkin Cake Pops. Clever lady. Perfect! 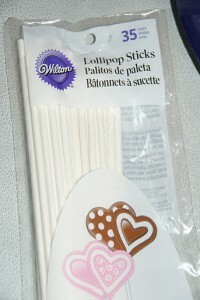 So… get Cake Pop making now! Yum! These look great. A lovely treat to give instead of the usual sweets… that’s if I have enough will power not to eat too many before they knock on the door! Oh I know, they are deliciously yummy!! I think they would be great at a Halloween or Pirate Party too! I saw the pumpkin ones on Ruths blog & have my orange buttons ready to make them but I might now make these too! Oh I love these! 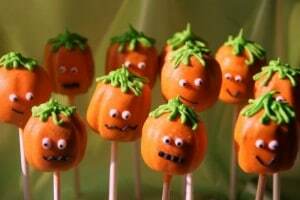 I was over at the Pink Whisk only yesterday with my ‘food blogger’ hat on and admiring her pumpkin pops enormously. They are a must for Halloween! 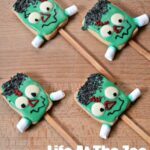 These are great – will make some for my class as we celebrate Day of the Dead! Thanks! I think I may just have to have a go!!!! 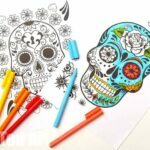 Jeanette – great idea for the Day of the Dead! These are amazing! How fun. 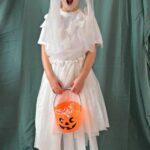 I hope you’ll link them up to my Wickedly Creative Halloween Ideas Party. Oh I think she should indeed sell them! Wonderful! We are definitely going to try these. Wow this looks like something I could do! Thanks for sharing. I am your newest follower. Pounds4Pennies – *hello* lovely to have you on board!!! Brooke – yes! Was v pleased they had a lovely session with Daddy! This is so unique and awesome..So creative…I would LOVE for you to share this at my Pin’Inspirational Thursday creative linky party pweease — TY .. http://theartsygirlconnection.blogspot.com/2011/10/pininspirational-thursdays-linky-party.html ..
Hello Chris! Have come and followed! Marilyn, coming to link up now! Wow! These look amazing – like expensive store-bought. 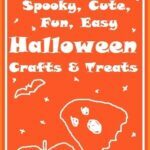 Thanks for sharing on momstown arts and crafts! 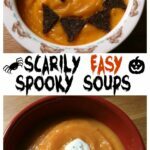 These look like they are so much fun to make! YUMMY TO! They came out so good!! Come link up at my linky party today! I’d love to see you there!! These are so amazing! We are highlighting these on our Sassy Babies blog. We would love it if you dropped by! Thanks!